Watch ALL of the Fleischer Superman Cartoons Online! Warner Bros. has posted them all up on their official Youtube channel. Here are embeds of them all. Enjoy Super-Fans! Look! Up in the sky! It’s — oh, forget it. 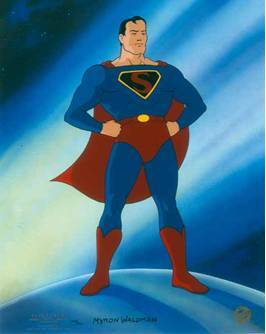 Superman is, of course, a fictional character, the stuff of comics and movies. But that didn’t stop DC Comics, which owns the Superman franchise, from enlisting the astrophysicist Neil deGrasse Tyson to “find” the location of his lost home planet, Krypton. It’s in the constellation Corvus the raven, in the southern sky not far from Virgo and Hydra. 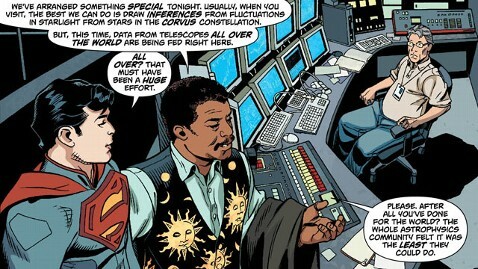 The planet Krypton — not that it ever existed — would have orbited a red dwarf star called LHS 2520, Tyson concluded. The star is 27.1 light-years from Earth. You’ll recall that according to the story, the baby Kal-El was sent in a spaceship to Earth by his parents, who knew that Krypton would soon be destroyed. As an adult in the city of Metropolis, he disguises himself as Clark Kent, a reporter fighting a never-ending battle for truth, justice and the American way. But he also has feelings. In the newest comic, out this week, Tyson is seen helping the homesick Superman trace his roots. It’s all a good bit of publicity — both for DC Comics and for Tyson, who directs New York’s Hayden Planetarium and has become a popular science communicator — but you can also tell he has tongue firmly planted in cheek.